Product prices and availability are accurate as of 2019-04-06 20:39:35 EDT and are subject to change. Any price and availability information displayed on http://www.amazon.com/ at the time of purchase will apply to the purchase of this product. 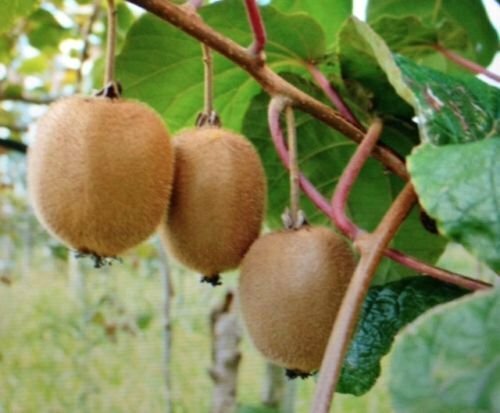 This listing is for 15 Dwarf Patio Kiwifruit Seeds. Dwarf Kiwifruits make great fruiting plants that you can keep in a large planter on your patio. You can keep them outdoors in the warm/hot seasons and mulch them in mid fall. They can be kept outdoors year around without protection in warm climates of zone 7 and above.